Absolutely we can. 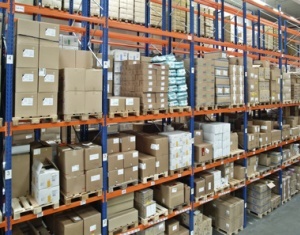 We have secure fully insured warehousing and can provide you with short or long term storage. Go 2 Dave also offers you stock management and fulfillment. This is particularly popular if you would like us to send out individual items allowing you to make just in time orders ensuring your products never run out. By integrating this workflow system with your business we can receive customer orders from your website, then pick, pack and mail out your products. To complete our service we can pack goody bags, product samples, we can personalise your packs and compile carrier sheets on your behalf.